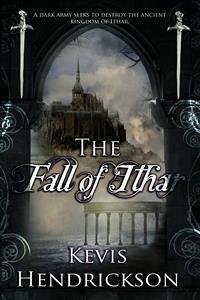 The Fall of Ithar recounts the events of the great war fought to protect the last kingdom of Men from the dreaded legions of the Shadow-Kings. It is a tale of epic heroes and fearsome villains. Journey to a time when the gods walked among Men and heroes lived and died by their courage!The Fall of Ithar is a 4,240 word fantasy short story that takes you deep into the past of the magical world of Arva. This is a work of fiction. The events and characters described herein are imaginary and are not intended to refer to specific places or living persons. The opinions expressed in this manuscript are solely the opinions of the author and do not represent the opinions of any third-party publishers. All rights reserved – used with permission. This ebook is licensed for your personal enjoyment only. This ebook may not be resold or given away to other people. If you would like to share this book with another person, please purchase an additional copy for each person you share it with. If you’re reading this book and did not purchase it, or it was not purchased for your use only, then you should purchase your own copy. Thank you for respecting the hard work of this author. â is pronounced as u in run. ê is pronounced as e in eat. j is pronounced as y in yes.